Steaks from a cow and provide a much richer and deeper flavor than younger beef. But it is important not to overcook them, or they become tough. Rare is best for flavor and tenderness Medium-Rare is the most they should be cooked. Take steaks out of refrigerator several hours before eating and let meat come to room temperature. Bring oven to 400 degrees. Sear steaks in hot frying pan (high heat), with beef fat or olive oil, for 2 minutes on one side, 3 minutes on the other, for doneness of Rare. For doneness of Medium Rare, put into 400-degree oven (not broiler) on broiler-pan or something comparable, uncovered, for 3 minutes. Cut into one steak to take a look. If still too rare for your liking, put back into oven for 2 minutes. This cooking can be done successfully on a grill, but it is harder to control temperatures, so we find the stove-top and oven more reliable. 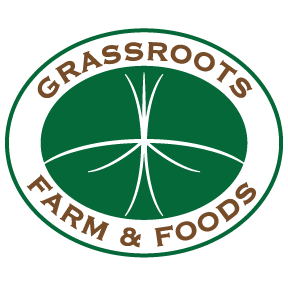 Grassfed fat has a different essence than grain-fed, which you will note. This comes from meat that is close to Nature - as close to wild as domesticated meat can be. Two minutes per side on hot frying pan or grill. Brine” in pot with gallon or so of water, mixed with minimum of ½ cup salt and ½ cup sugar for 2-3 hours. Add herbs of choice. Sear chops on stove top in frying pan for 2 - 3 minutes per side. Put into oven for 5 – 10 minutes: 5 min. for rare; 10 min. for medium. Shoulder Roasts need to be cooked low-and-slow, in contrast to steaks and chops. There are numerous ways to cook roasts, but we have found consistent success with the following. Brown meat, on each side, in skillet on stove-top. Set oven to 200 degrees or crock-pot to Low. Put 2-3 lb beef chuck roast, lamb shoulder, or pork shoulder into covered pot, with herbs and vegetables of choice, plus 2-3 cups of liquid: water, beef stock, and/or wine. Do not cover meat with liquid. Cook covered for 10 - 11 hours at 200 degrees. Should be tender, delicious, and ready to serve. Makes great leftovers, which only to improve with time. Same steps as for Shoulder, only cook for 15 hours at 200 degrees. This is somewhat more difficult than the others, because there is not the margin of error in being able to over or undercook it. It needs to be pink in the middle, so it doesn’t dry out. There are many recipes for leg of lamb, but a simple one for a bone-in leg from Cook’s Illustrated follows. Mix 2 teaspoons salt, 2 teaspoons pepper, 2 tablespoons minced fresh rosemary leaves in small bowl. Cut slits into roast with tip of paring knife, and insert peeled thin slivers of 4 - 6 large garlic cloves through out the surface. Brush exterior with 2 tablespoons olive oil, and rub above seasoning onto meat surfaces. Place leg, meaty side up, in roasting pan on flat rack for 30 minutes at room temperature. Preheat oven to 450 degrees and move oven rack to lowest position. Pour 1/2 cup water into bottom of roasting pan, and roast lamb at 450 degrees for 10 minutes. Turn leg over, and roast for another 10 minutes at 450 degrees. Turn leg over, and reduce temperature to 325 degrees. Cover with tin foil and let sit for 15 - 20 minutes, to finish cooking. This is good for grilling, because of the uneven surfaces of the cut, thus providing a range of “doneness”. Sear on both sides and then move off the flame to a lower heat for about half an hour.